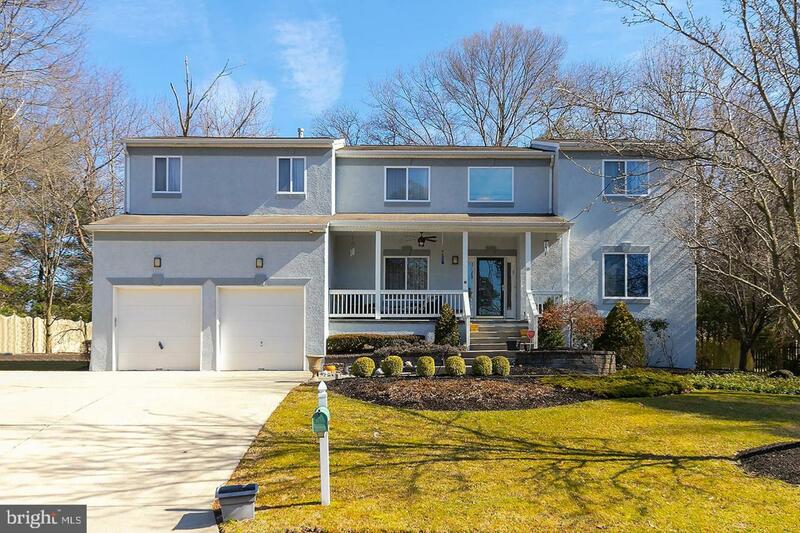 Beautifully maintained and updated stately home in the much sought after Lost Tree section of Voorhees boasts large room sizes, remodeled kitchen & baths and much more. As you approach, notice the professionally landscaped grounds and covered front porch with ceiling fan. The exterior has been recently painted in a neutral gray tone. 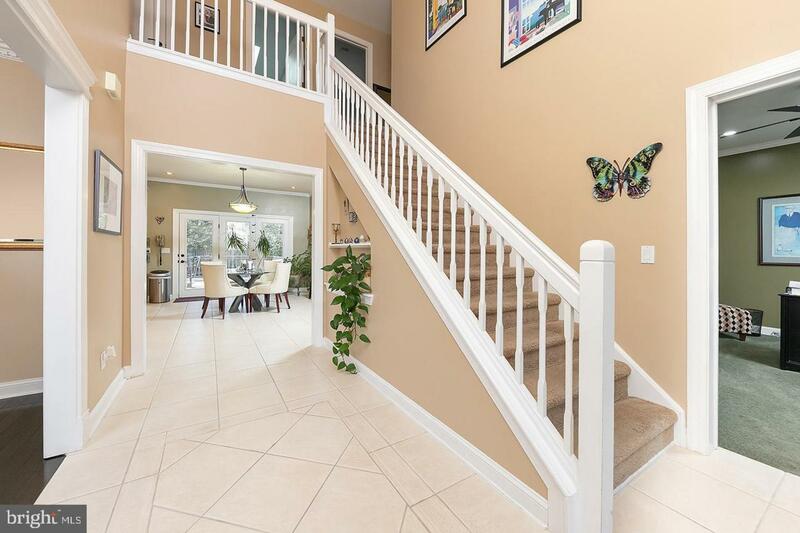 Enter the 2-story foyer which features ceramic tile flooring which flows into the spacious eat-in kitchen. Flanking the foyer are the dining room with hardwood flooring and private office/study. The large updated kitchen boasts 42~ cabinets, granite counter tops, ceramic tile backsplash, built-in wine cooler, GE Profile stainless steel appliances including double oven and built-in microwave, large food prep island with 5-burner gas range and more. Triple French doors lead to the expansive wood deck and rear grounds. A large breakfast bar with granite top has been added which is open to the spacious family room. Access to the basement is here where you~ll find day windows, a game room and plenty of storage. 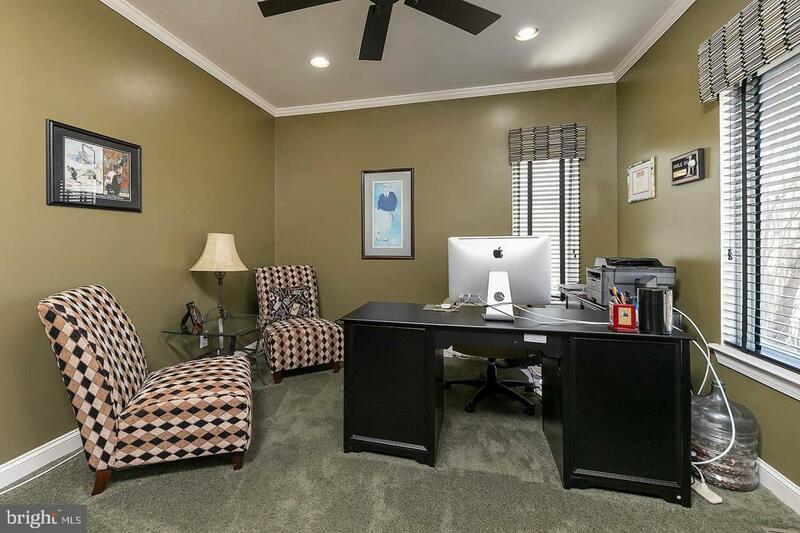 Adjacent to the kitchen is an additional office with built-in desk which can also be used as a mud room. The updated powder room and garage access are located here as well. The 2-car garage includes 2 automatic door openers and an additional large storage area with access to the rear grounds. The main level features 9~ ceilings, 6~ floor trim, custom moldings, recessed lighting and more. The walls have also been tastefully painted in neutral tones throughout. Ascending to the upper level, you~ll find the large master suite, 3 additional spacious bedrooms and remodeled hall bath. The master suite boasts vaulted ceilings, walk-in closet, vanity dressing area and beautifully remodeled garden bath. Bath features include a custom walk-in shower with frameless glass surround and multiple shower heads, Asian Dutchess free-standing tub, 2-sink vanity with Wolf cabinetry and granite top, updated hardware and fixtures. The remodeled hall bath is equally impressive with features such as a custom walk-in shower with frameless glass surround, 2-sink vanity with composite top, skylight and updated hardware and fixtures. All bedrooms feature recessed lighting, ceiling fans and closet organizers. The large laundry room is conveniently located on this level as well and includes front-load washer & dryer, utility sink and shelving. The HVAC system and both H/W heaters were replaced 1 year ago. This home also includes security and irrigation systems. You will be impressed by the overall quality and condition. 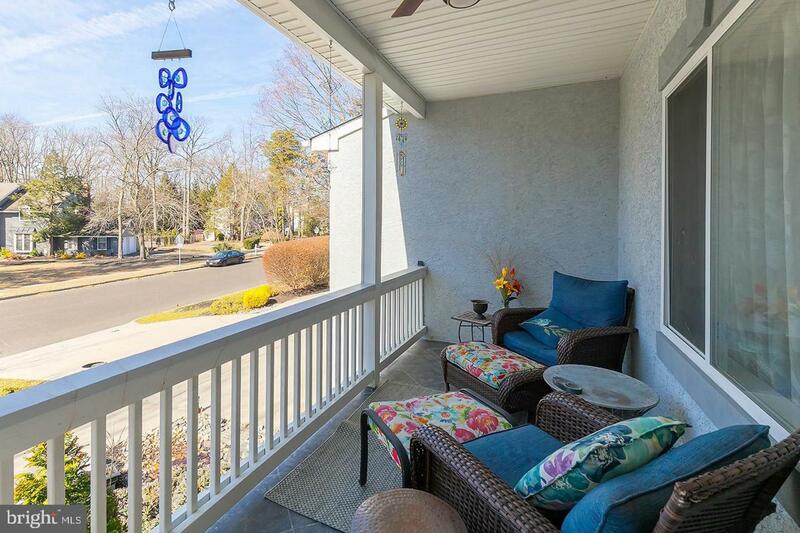 Property is conveniently located to nearby shopping, restaurants and major highways.